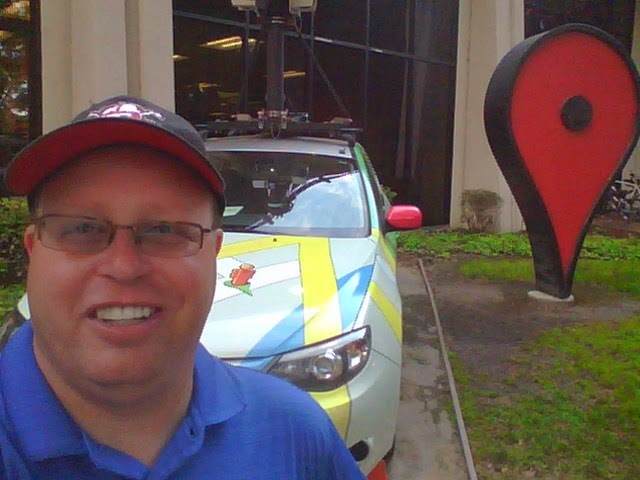 Earlier this week I was fortunate to be a participant in the 2014 Google Geo Teacher Institute. It is basically two intense days of geeking out on Google geo tools and thinking up ways of to use them in education. It is an opportunity I highly suggest for any educator. 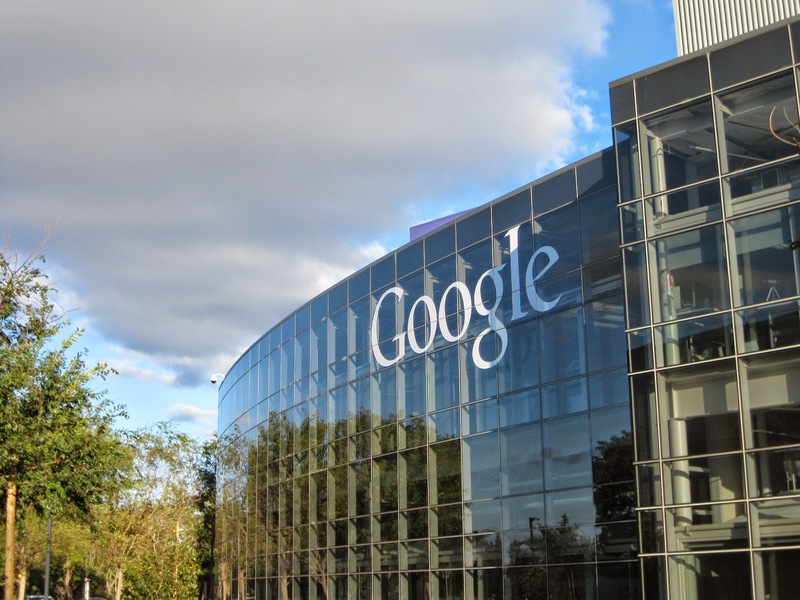 One of the fringe benefits of this particular institute (they also have one in 2014 in Pittsburg) was the location – Googleheadquarters in Mountain View, California. The Mothership. The Googleplex. Geekapoloza. This was actually my second time attending a Google sponsored workshop at the Googleplex. I attended the Google Teacher Academy here in 2012. Prior to my first visit I was afraid that all of the hype I had read about the Googleplex was destined to set me up for disappointment. How could all of the descriptions of colorful offices and abundant creativity really exist? But alas, it was true. I left my first visit blown away by the prevalent culture of collaboration. I could go on about the food (amazing) and the perks (things such as being able to bring your dog to work and climbing walls in offices) but I want to focus on one thing in this blog post – collaboration. The Google campus is abuzz. It is tangible as you walk around. As non-Googlers we weren’t allowed in certain places (and we weren't allowed to take pictures inside buildings on campus) but when we did walk past an office space on the way to a session you could see people working in close proximity. I didn’t see long hallways with doors that open to individual offices. Instead I saw work spaces where 3 or 4 people worked next to each other in a relatively small space (and quite a few standing desks from what I could see). There are many areas where small groups – 4 or 6 people – can get together to work. Some of these areas are collaboration rooms with a door. Inside is a table where about 4 people can sit with a large screen on the wall for Hangouts. I did notice a lot of Hangouts taking place. I should also mention these places to collaborate and not your standard room with white walls. They are all astronomically cool with themes and colors. The place on campus where I could really see the collaboration was the cafeteria (again I wasn’t allowed to go many places within the office spaces). 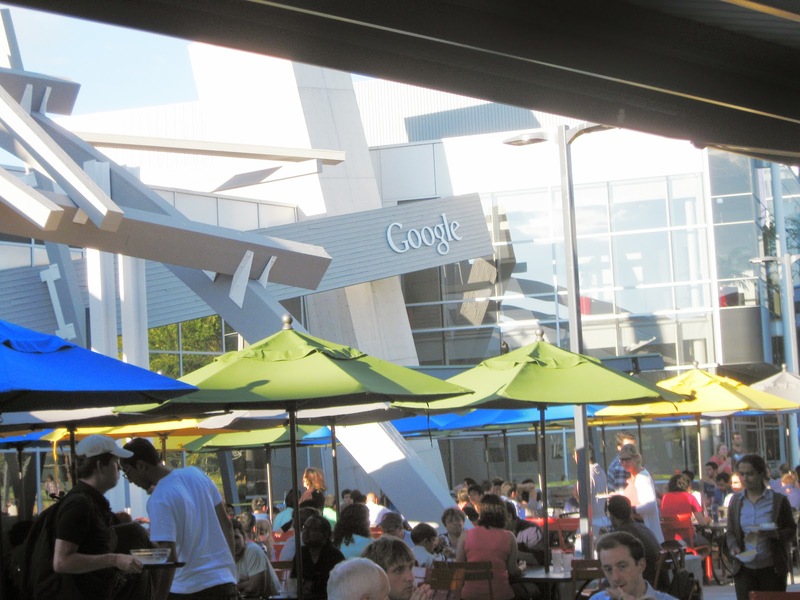 The food that Google provides for it’s employees – breakfast, lunch and dinner – is legendary. It is provided free as a perk to employees and it is delicious, think five star restaurant. In a nutshell it is part of Google’s original DNA : give your employees amazing free food on campus and they won’t want to leave campus to eat elsewhere. Thus, they eat together, socialize together and talk about what they are doing at work – collaborating. Walking through a Google cafeteria you notice the sound of many people talking. It is busy and the ones I walked through were full of people socializing with co-workers. I’m not naïve enough to believe all of these conversations taking place are meetings working on a way to improve your ability to share a Doc on Google Drive, but it sure seemed like along with the socializing there was a lot of “work” type conversations happening with the numerous laptops and body language. Click here to view a 360 degree photosphere of the Google campus right before the lunch rush. You can see the food trucks! Here is a second 360 degree view of the Google campus prior to the lunch rush. While eating our lunch several of us discussed how cool it would be if our schools could have the same type of environment for lunch – time to eat, a relaxed atmosphere and time to talk to a collegue about a lesson plan or an activity. There are millions, if not billions, of reasons why this would never work in a public school setting to the degree it does at Google (time, money, supervision, money, money) but hey you can dream right? I was thinking about it the next day and then it hit me. I should focus on the things I can control instead of worrying about the ones I can’t control. I am the CEO of my classroom. I know all teachers have varying degrees of control of the manner in which they set up their classroom and some of the design elements but I bet there are things you can do in your own room that can really change the way your students learn in your space. All of the collaborative spaces at Google that I mentioned did not just organically appear out of nowhere. They are there by design. Those spaces and environments were designed with the intent to help nurture collaboration. There is a lot that I can do to attempt to create a similar vibe in my own classroom because I am the CEO of my space. When I want to work on my dissertation I often go to coffee shops or places that have free wifi and lack the distraction of other things I could be working on instead. Last fall while working at a newly remodeled Mc Donald’s – chairs and tables which could be moved in different arrangements, tables where small groups of people could comfortably sit, etc. – I began to wonder why a fast food restaurant had abetter nicer place to collaborate than my classroom. My classroom had 33 individual student desks. I had arranged them in different ways so they weren’t all in a line all the time but there are only so many ways you can arrange 33 desks. They also don’t encourage collaboration or group work in any way. I asked if I could trade in my individual student desks for tables. Fortunately the district at that time had some tables in storage and I traded in my 33 student desks for 6 tables that had 33 chairs. It is probably the most impactful physical change I have made in my 20 year teaching career. Students were able to talk to each other (of course some had to be reminded on appropriate times to collaborate) and doing any type of group activity or lesson was much easier. There was more space in the room for me to walk around and talk to students. 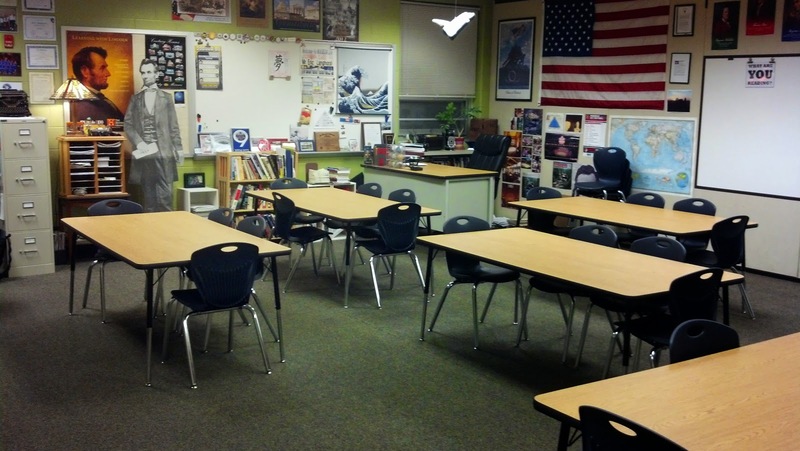 I don’t think I could ever go back to desks after having tables in my classroom. Designing with intent, result = increased collaboration. There were other simple things at Google this week that I want to incorporate into my classroom. In the halls there are glass walls on which people write messages, notes and quotes with dry erase markers. I have several nice white boards in my classroom that I have traditionally underutilized in the past 10 years. This year I want students to take ownership of those boards. What will they use them for? I don’t know. I want to ask them how they want to use them. This year our classrooms at Discovery Middle School with be 1:1 for the first time. I want to encourage more group work and collaboration on projects with students. I need to reprogram myself to allow groups to work on a project in the hallway or the commons without my shadowing them the entire time. I need to give them more ownership over their spaces. It truly is their space, not MY classroom. I can’t recreate the Google campus in my classroom and I certainly can’t feed them gourmet style food for lunch (although I do sometimes have hot chocolate available for them on cold winter days) but I can start to increase the collaboration with intentional choices in design. I am the CEO of my classroom, but I want my students to run the company. This week I was one of roughly 70 teachers fortunate enough to attend the 2014Google Geo Teacher Institute in Mountain View, California. The event was two days (July 22-23) of sessions and workshops focusing on how teachers can use the array of Google geo tools with their students (Maps, Earth, Views, Street View, Maps Engine, Tour Builder and Time Lapse to name a few). The format for the institute is similar to a Google Teacher Academy except with an emphasis on the geo tools. John Bailey, Program Manager for Geo Education at Google is the organizer and he did a great job of creating two days of high level professional development. There will be a similar institute held in a couple of weeks (August 5-6) at theGoogle offices in Pittsburgh. A combination of elements made this an amazing professional development opportunity. First of all the participating teachers are a diverse group. Not only were participants from a combination of K-12, higher education and administrative roles, they all came from all over the United States as well as abroad - one participant traveled from Australia to attend this week. The second interesting aspect is the quality of the presenters. Some of the presenters are teachers with a strong background in Google Geo Tools who have presented at Google Summits and past institutes. The remainder of the staff for the institute is made up for Googlers - project managers and members of the Google Edu team. It is a rare opportunity to sit in a session about Google Tour Builder and have a conversation with the individual who created it! The final element is, appropriately enough for a geo workshop, its location. I have spent the last two days on the campus of the Googleplex, the mother ship for an edu geek like me. It provides just a small slice of the Google workplace atmosphere. The resources for the individual sessions, along with the names of the presenters,is available online here. It was tough for me to decide which sessions to attend. I wanted to attend them all and over the next couple of weeks I will spend time going back to this site and checking out the links and tools included on each page. So what did I walk away with after two days in Mountain View? Here are my “30,000 feet view” takeaways - appropriate as I type this aboard a plane flying back to Kansas City. I hope to post more specific blogs in the future on specific tools and how to use them in the classroom. Several times this week while exploring these amazing tools and apps I had to get myself past the “whiz-bang” aspect of the tool and think about how my students can use this in class. I felt there was a conscious effort, many times vocalized in sessions, to think about building real world activities that maximize the tool. We also have to realize that you can’t force a tool into a classroom, no matter how amazing, if it doesn’t fit. Sometimes it is OK to let a tool soak in and someday in the future a way in which to use it your classroom will make sense. Often during the week Googlers asked us, the teachers, how we use the geo tools with our students and then asked us for suggestions on how to make it better. I give Google a ton of credit for taking the time to listen. The project leads for Google Earth spent an hour asking us about how we use Earth and what features we would love to see added in the future. For example, there was quite a bit of discussion on the desire to have Google Earth available in the web browser to allow users of Chromebooks to use the tool. They said they are truly working hard on solving issues like this and I felt a vibe that in the future issues like this will be resolved to help the millions of students who are now using Chromebooks in their school. It is impossible to separate geography from physical experience. Events happen in places and sometimes the physical environment of a place helps shape the event itself. It is great to see tools and resources like Google Lit Trips and Tour Builder being utilized to add geography to books, trips and stories. One of the new things I will introduce to the my 8th grade American History class this year is the “Big Map”. Students will create their own custom map in Maps and then add the locations of the events we discuss throughout the year as we explore the colonization of America through the end of the Civil War. I will also allow students to create their own personal layer on the map - places they have visited, want to visit, lived, favorite team, etc. I want to blog more about this later but I want to create a connection for my students between the geography of the places we study throughout the year with their own experiences. Rebecca Moore - Engineering Manager of Google Earth Engine & Earth Outreach - shared several stories with us describing how Google maps have been used to help educate communities on potential developments, removal of landmines in war torn countries, slow the deforestation of the Amazon and track bear sightings in a California neighborhood. Here is a link to avideo of her giving a similar presentation. I think that the most powerful aspect of making maps which display data is that it ultimately translates the data into a different language - a visual language that generally more people can ingest and understand. She describes numerous ways that Google maps have impacted world leaders, politics and environmental issues - all using tools which Google has made free and accessible. Now my challenge as a teacher is to explore ways I can use these tools to turn the data and content I teach into maps which will help my students understand what I am teaching in new ways. Google Maps are social and we are contributing content, are your students? Back in the day, and I speak as a roughly 40 year old man, we had our maps handed to us. Rand McNally and National Geographic created the maps and we just bought them and used them. Today we are contributing to the map. We can create maps with our directions, our own place marks, our own images and links attached to a pin. This summer I have played a lot with one of Google’s new geo tools - Views. 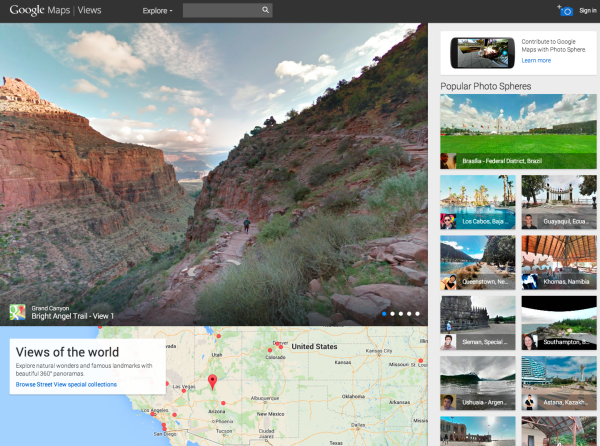 Views allows you to post 360 degree pictures, commonly referred to as “photospheres”, and publicly share them on Google Maps. I have added almost 100 views to the Google Map this summer. Some are of my own community and some are from vacation. I even took some out here in Mountain View. Here is a photosphere taken on the Google Campus this week during lunch. I have had a blast taking and sharing these views but I also want my students to be taking these photos and being the contributors to the Google Map. I am working on a project that will help students take photospheres of all the locations in our county listed on the National Registry of Historic Places. 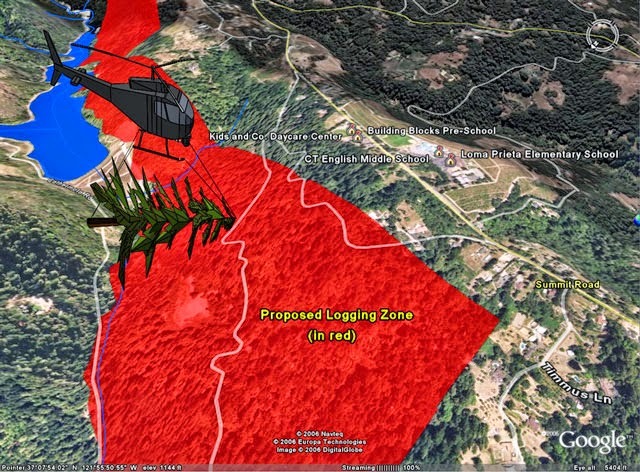 I also want to help my students create maps that could be of value in our own community. How about students collaboratively creating a Google Map which shows all the locations in Liberty which provide free wifi access. That is a map that students, and people in the community, could really use in their daily lives. The previous point is a good bridge to this point - don’t just hand students this content, have THEM create it. I could make a lot of cool maps and visualizations and just show them to my students but I need to fight the urge to do this and instead try to create it with them. Without getting too far off the intended path of this blog post, there are a lot of connections on this topic to the maker movement in education. Students not only will find more value in a map they helped to create, they are also learning about the process which can then be applied later in different ways. As someone who typically likes to “control” my classroom this is sometimes a struggle. Giving the tools to the students and having them create is often messy, loud and in general scary to a lot of teachers but something we need to do more. So there you have it - my big picture reflections from an incredible week at the 2014 Google Geo Teachers Institute in Mountain View. Thanks again to John Bailey and everyone who made this a truly memorable week. 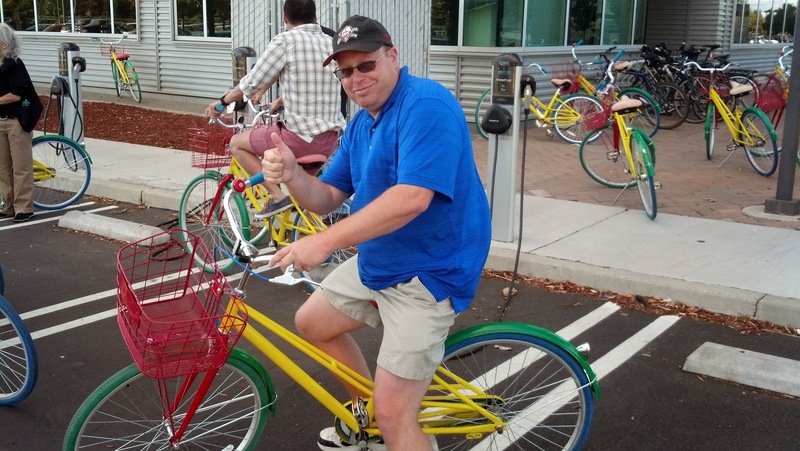 I leave the Googleplex with more tools to empower my students and a lot of new friends that I can add to my personal learning network and share ideas. Today's post is a list of resources from my presentation "Going Google : Google Tools For Teachers" at the Kansas City Federal Reserve Bank on July 17, 2014. All of the resources that were mentioned in the presentation are listed below as a reference for the future. Please bookmark this page for easy reference when you are sitting in your classroom and want to find the one Google app that was mentioned today that would be perfect for that new lesson or activity. Google Tools and Apps to make your life easier and your classroom more engaging for your students. 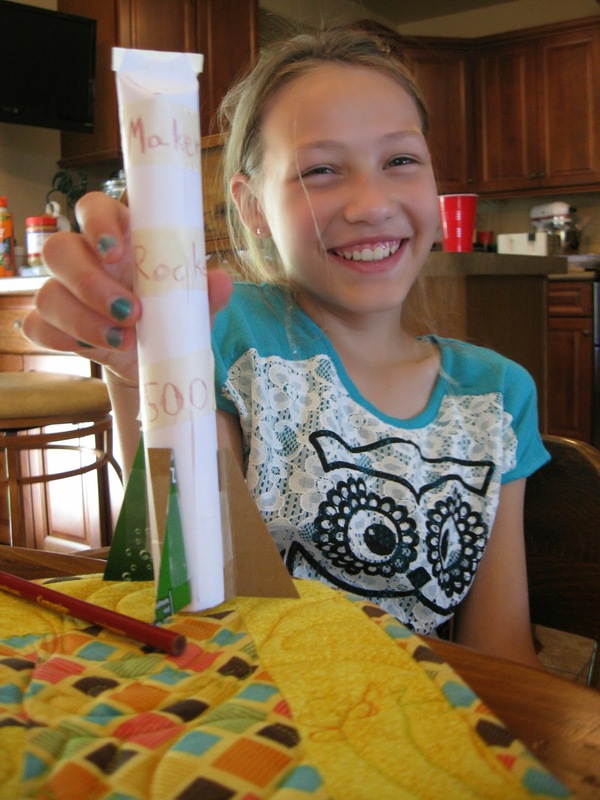 Maker Camp started today and so my daughters (ages 6 and 10) participated with me as we built stomp rockets. It was educational and a lot of fun on a hot summer day. Two thumbs up from both girls and we'll probably check out future projects in the summer. Participating in Maker Camp is pretty easy. It is online, free and something new every weekday for six weeks. The theme for Week 1 is "Makers in Motion". Friday of each week they have a special virtual field trip and in week 1 it is an inside look at how they make Google Treks and they state in their teaser that they will demonstrate how to make photospheres of your own neighborhood - something that I have been doing a lot of this summer with my Nexus 7 tablet. The first thing I did today was check out the Maker Camp website. 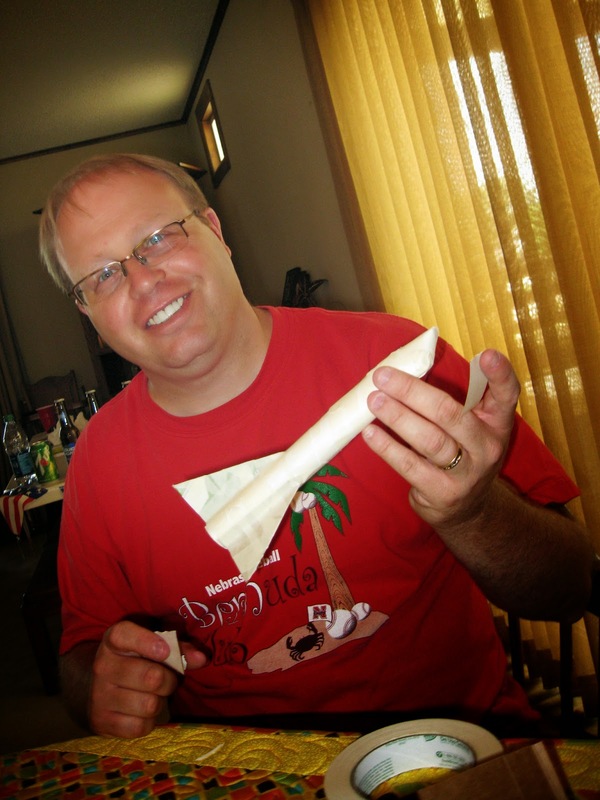 I looked up the project for the day, which happened to be making a stomp rocket. (There is also a more advanced each project each day if you want to kick it up a notch!) I look looked up the supply list to see what we would need. We are currently out of town on vacation so most of the stuff I probably could have rounded up at our house but since I didn't want to tear apart my inlaws' house looking for items I did go out a buy a couple at the hardware store. Today's project basically required some type of rubber or plastic tubing, paper, tape and empty milk jug (a lot of people were also using empty two liter soda bottles). Each day during Maker Camp they have a live Google Hangout to go with the project of the day. Today since the topic was rockets they had a live chat with Buzz Aldrin. We didn't see it live but did watch it YouTube about an hour after it was live. We watched it while we ate lunch. It was great because we were able to tell the girls a little bit about how the United States put men on the moon. 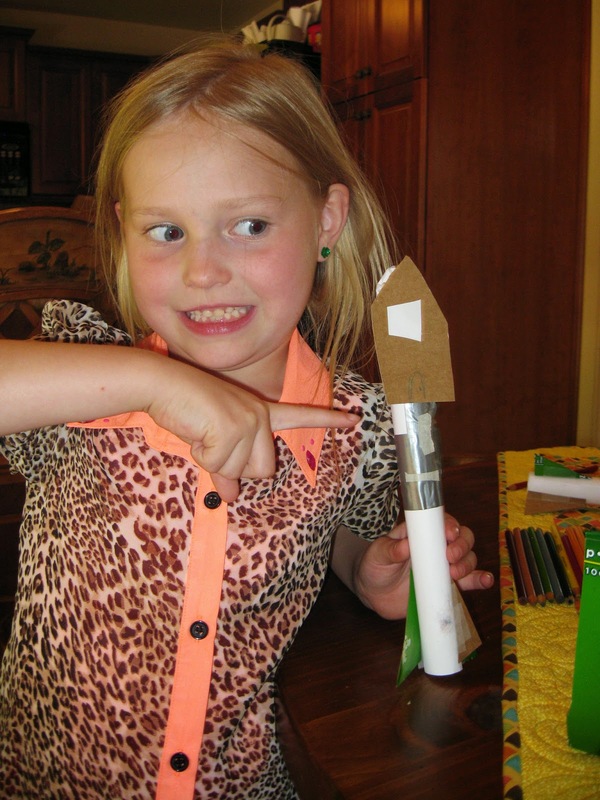 After we watched the hangout we looked at the instructions on the Maker Camp page to build the stomp rocket and then made some modifications based on the materials we had on hand. Let me just take a second here to say how important the ability to adapt is to the maker movement. We didn't have exactly the same materials as they listed on the Maker Camp site and that was great because I was able to discuss with my daughters about what we could substitute. When I looked at the Maker Camp Google+ page later in the day it was full of pictures of things that people did to modify the stated design. This is such an important skill that students learn from the maker movement in general - adapt and modify as needed. Life is not a kit with all the required parts included. We built our rockets and talked about how they would fly, why we should add fins, how we could make it more durable and still not make it too heavy, etc. While we were building we had some great ideas about flight and rockets. 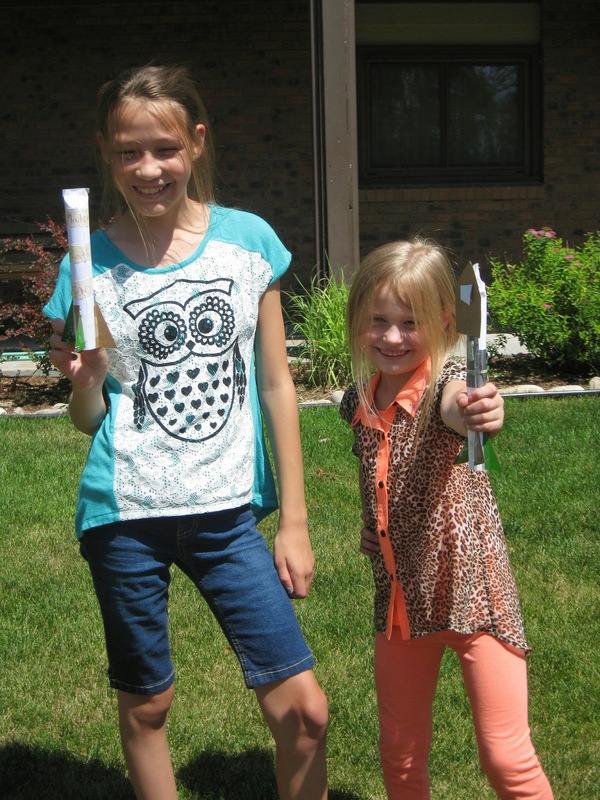 Once we had built our rockets we went outside to test them. The first couple of times the girls didn't "stomp" on the milk jug very hard and then after a couple of tries their rockets were going pretty far. Dad did so well that my rocket landed on top of my inlaws' house. (It was OK, I went in and built a second rocket!) We are planning going to a park - more wide up spaces with fewer places to lose our rockets. I would consider the first day of Maker Camp a success for our family and we will probably check in again to do another project. Thanks to Google and Make Magazine for hosting such a great activity. Looking for a great activity for your kids this summer? Something that your entire family could participate in together? 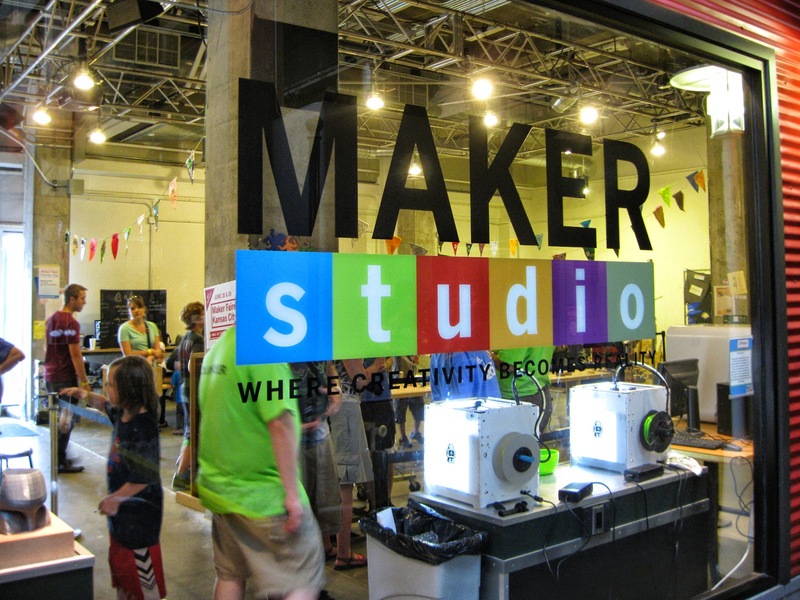 Check out the free Maker Camp online sponsored by Google and Make Magazine. The site has a host of great Google Hangouts scheduled with makers around the world, activities for building and resources. Each morning there is new project posted, in the afternoon each day there is a live Google Hangout with incredible makers and on Friday each week the Google Hangout takes you to on a cool virtual field trip. Maker Camp is scheduled for July 7, 2014 through August 15, 2014 but will also be accessible online in the future. 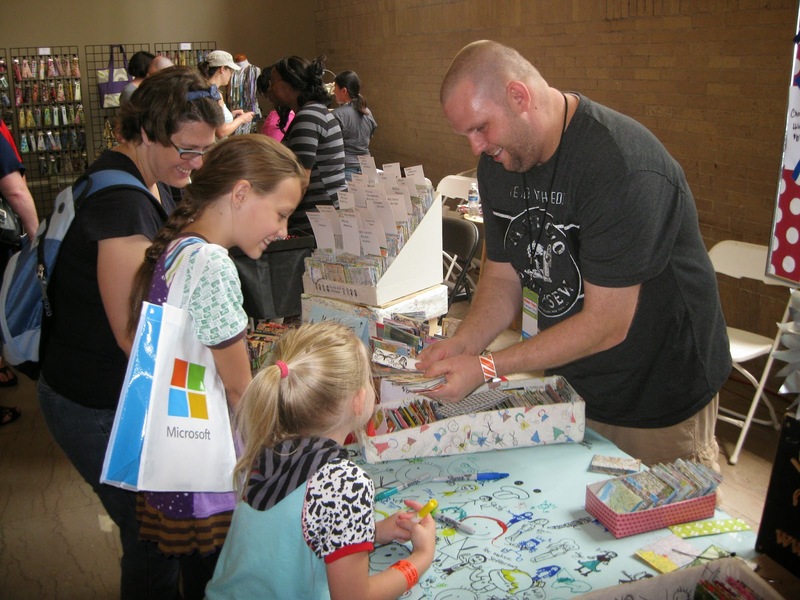 I have looked forward to the 2014 Kansas City Maker Faire all year. Last year I attended my first maker faire and it blew my mind. 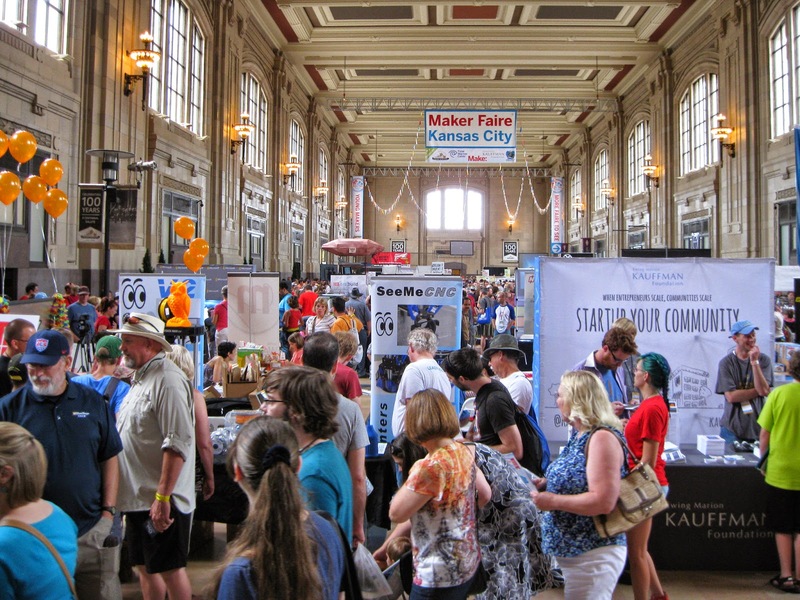 This past week Union Station again hosted the 2014 Kansas City Maker Faire and I attended on both Saturday and Sunday. Once again, I walked away energized and excited about how the maker movement can impact education. 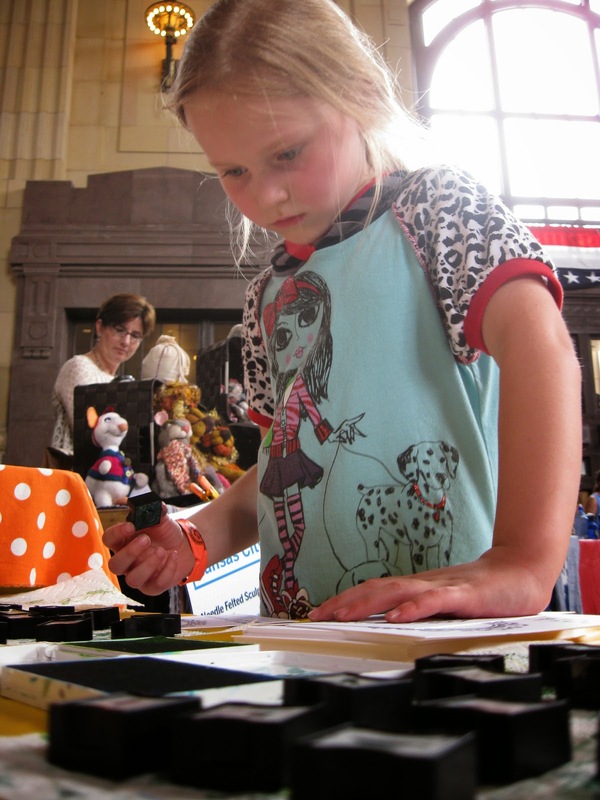 The Kansas City Maker Faire drew over 16,000 visitors from 40 different states. Think about that - 16,000 people from over 40 states attending a two day event about making. Click here to check out my 360 degree photosphere from the center of the Kansas City Maker Faire at Union Station. Click here to check out my 360 degree photosphere from the Kansas City Maker Faire inside the Maker Studio at Union Station / Science City. Click here to check out my 360 degree photosphere from the Kansas City Maker Faire inside Union Station / Science City. 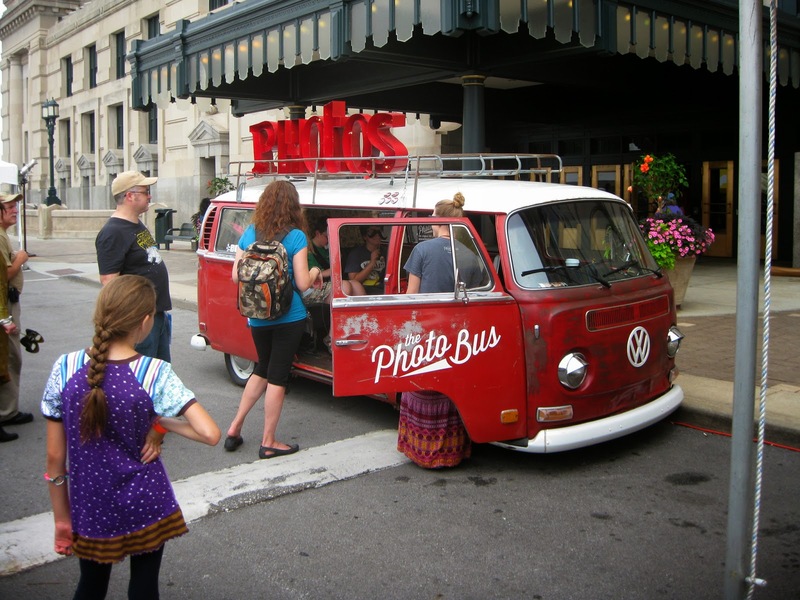 Click here to check out my 360 degree photosphere from the Kansas City Maker Faire outside Union Station. It is hard to describe a maker faire but as I walked around on Saturday and soaked in the creativity. Union Station, and the grounds in front of Union Station, were packed with people. There were a lot of 3D printers, students demonstrating robotic projects, and tables of people willing to share their open source projects. But there is so much more. 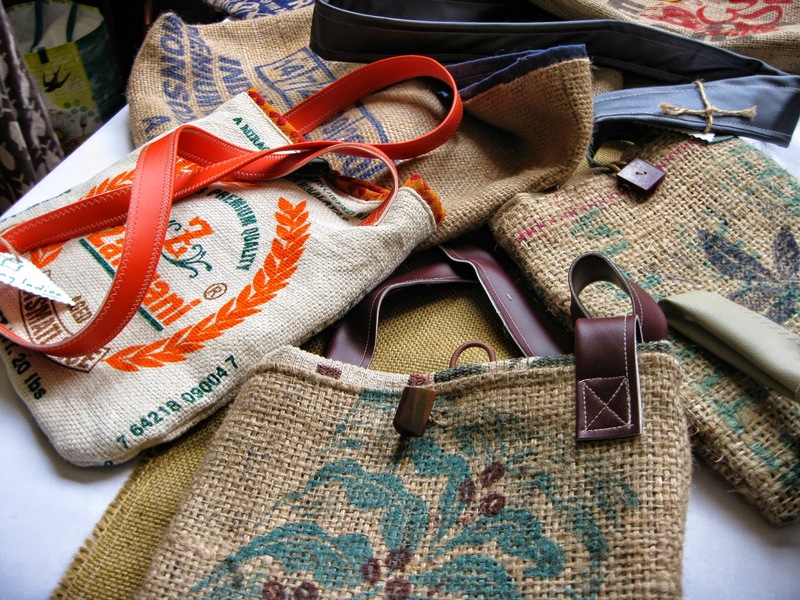 I stopped by tables of people who made their own jewelry and bought my wife a purse made by a couple of women in Kansas City from recycled coffee bags. 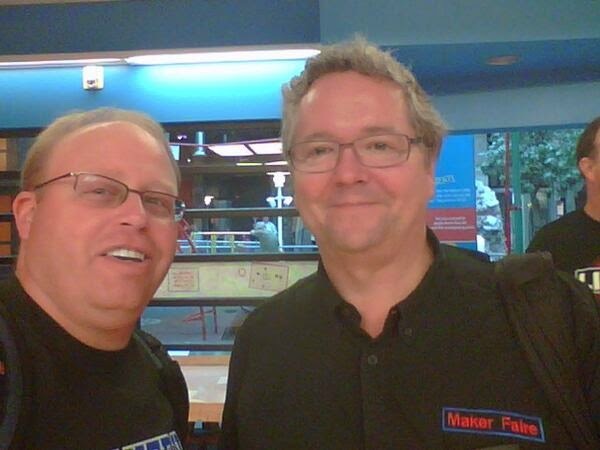 The Kansas City Maker Faire, which is currently the 3rd largest maker faire in the country behind the Bay area and New York City, had a special guest this year - Dale Dougherty, the godfather of the maker movement. I was visiting the Maker Studio on the ground level of Union Station when Mr. Dougherty walked past me. I recognized him and did what any starstruck geek would do - I told him how much I appreciated his work and asked him to take a selfie with me. "I know the maker movement would be great for the classroom but as a classroom teacher I don't the knowledge or the funding to do these amazing things. What do I do about the lack of those two things if I want to do the maker movement in my classroom?" I think this is a common perception of the maker movement in education - it takes a lot of technology and a lot of money but if this is the perception then we need to correct the stereotype. 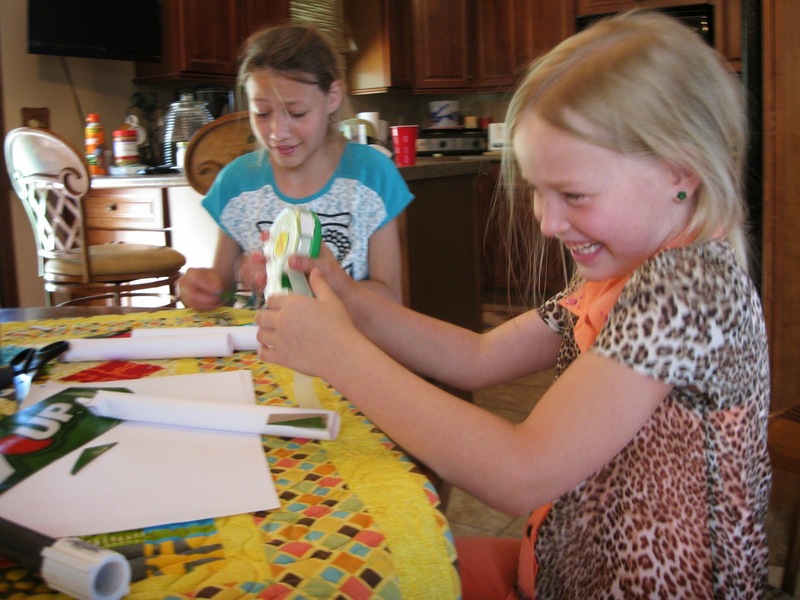 I have dabbled in the maker movement over the past year by trying a lot of new things, having my two daughters try to build things and reading as much as I can on the topic and I have come to the personal conclusion that the "maker movement" is misleading. It should really be called the "sharing movement". It is about trying something, then trying something else and when you get stuck asking someone who might know the answer. The great thing about the maker movement is people are so willing to share. Union Station was full of people willing to share and explain the things they have been working on and what they want to do in the future. It isn't about the "stuff" - sure 3D printers are cool and generate a lot of buzz but the maker movement is also about scraps of wood, cardboard toilet paper tubes and glue sticks. As educators we need to allow our students to think, create and build things. I came back on Saturday with my entire family. My wife talked to several Kansas City artists about their their print making and fabric arts. I bought a hand made leather cover from the little notebooks I carry around. My daughters made stamped art with erasers and build light sticks with LED lights and small batteries. They also bought a couple of necklaces and visited with the artist who made the artwork. It was a great day and my family walked away with new ideas about things we can build and create together in the future.